The facilitator of the inter-Burundian dialogue, William Benjamin Mkapa, says that Burundi Government is legal and legitimate. He mentions that those who doubt President Pierre Nkurunziza’s legitimacy are out of their minds. “The Burundian people gave legitimacy to the Government of Burundi. The 2015 Elections were held; Burundi’s constitutional court and the East African Court ruled on the issue and they all concluded that Pierre Nkurunziza’s regime is legitimate. So, those who think that the current regime is leading illegitimately are absolutely out of their minds. Ambassadors are coming here and presenting accreditation letters to Pierre Nkurunziza,” said Mkapa, before his departure following a three-day visit to Burundi. The former Tanzanian President arrived in Bujumbura on 7 December. He met with the Burundian President, the government, African ambassadors accredited in Bujumbura, religious leaders, the women’s forum and members of civil societies operating in Burundi. Mkapa says doubting the current government legitimacy is foolish. He believes that the facilitation is rather concerned with creating favourable conditions in Burundi in order to organize free, fair and credible 2020 elections. The facilitator appreciates the work being done by the National Inter-Burundian Dialogue Commission-CNDI set up by the Burundi Government. “No one can deny the Burundian people an internal dialogue or revision of the constitution as it happens all the time in other countries,” he says. A Facilitation Team is attending the inter-Burundian dialogue session organized by CNDI in Gitega on 9 December. Mkapa said he would not talk with Burundians accused of involvement in the attempted coup. 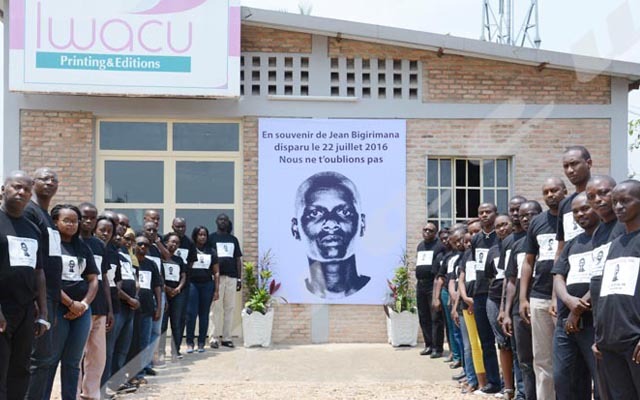 “It is not time to talk with people who are being prosecuted by the Burundi justice.” He requested that countries hosting alleged coup plotters extradite them. Vital Nshimirimana, a member of Burundian civil society in exile, says Mkapa cannot facilitate the inter-Burundian dialogue because he does not understand those who should participate in the dialogue. He excluded real protagonists to Burundi Government. “Some members of civil society were nearly arrested by Tanzanian police when they responded to his invitation in July,” he said. He supported the government’s side because he even failed to officially open the dialogue when the government had boycotted it. Jeremie Minani, spokesman of the opposition platform –CNARED says Mkapa has resigned in his mission because he has shown he is biased. He called on the European Union and the United Nations to prepare an inclusive dialogue led by a wise and competent personality. Tanzania’s former president Benjamin Mkapa was appointed facilitator for Burundian peace talks by the East African Community (EAC), during the 17th Ordinary Summit of EAC heads of state in Arusha, Tanzania on 2 March. The crisis began in April 2015 when the President Pierre Nkurunziza was declared as a candidate for a controversial third term in office.